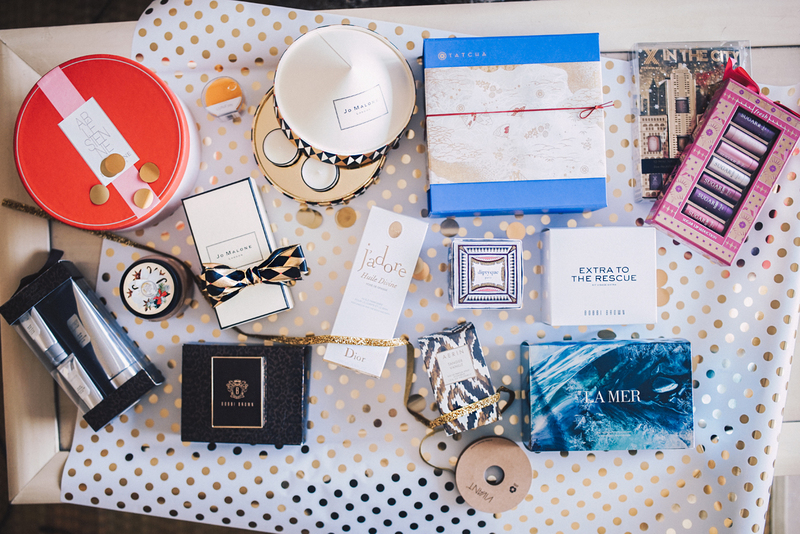 Welcome to the second installment of Holiday gift guides! 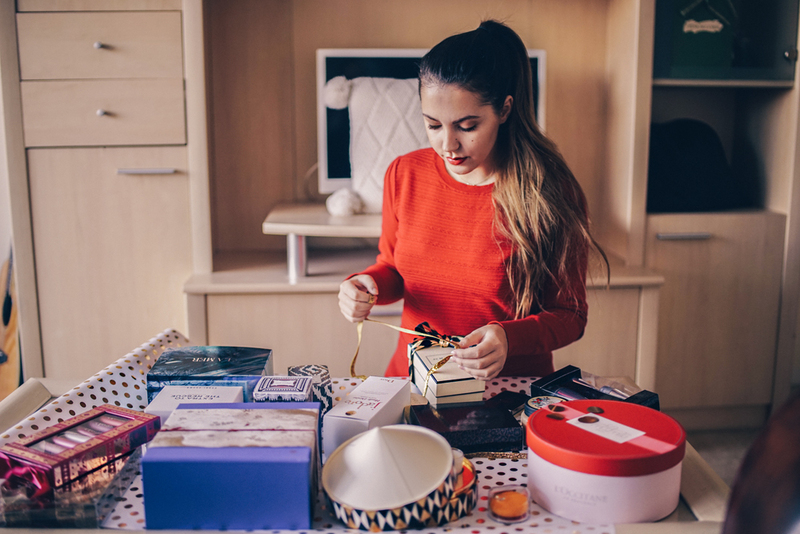 This time I'm going through all the best in beauty products this season and some personal favorites! Enjoy..! Jo Malone really did it this year with the Holiday collection..! The packaging is simply stunning, even the cologne bottle is so festive. The new Orange Bitters scent is holidays in the form of scent - fruity, spicy and warm, it quickly became one of my favorite scents from the brand. From the gift sets range I've got the Christmas miniatures candle collection, which includes 5 mini candles in the most beautiful packaging. 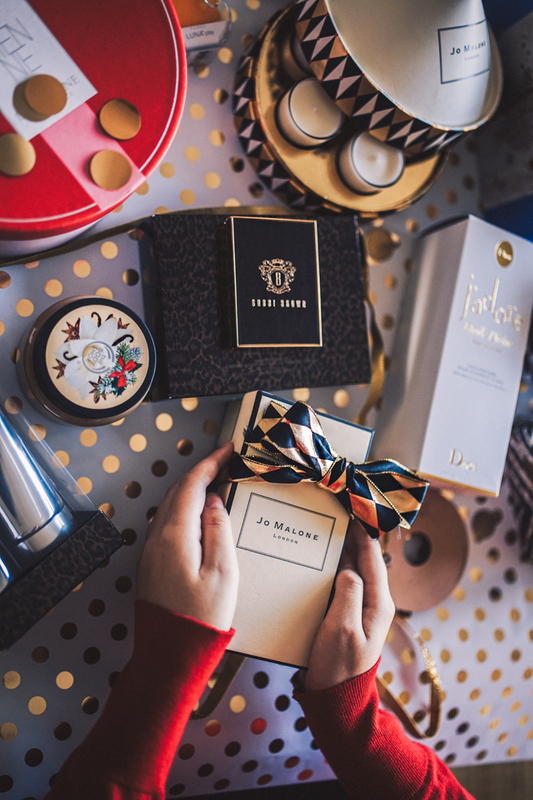 It's the perfect gift for any Jo Malone admirer, and a good chance to try many different scents! Dior J'adore bath & body oil is an essence of luxury, and a little something different to gift this year rather than a perfume. The bottle is huge and it makes your bath time ultra fancy, or you can use it as body oil for a long lasting scent and soft velvety skin. I love AERIN scents, they're very classic and sophisticated. It's a perfect mom gift! Their latest scent, Tangier Vanille, is very warm, sweet, spicy and wintery. And the packaging really takes the cake! 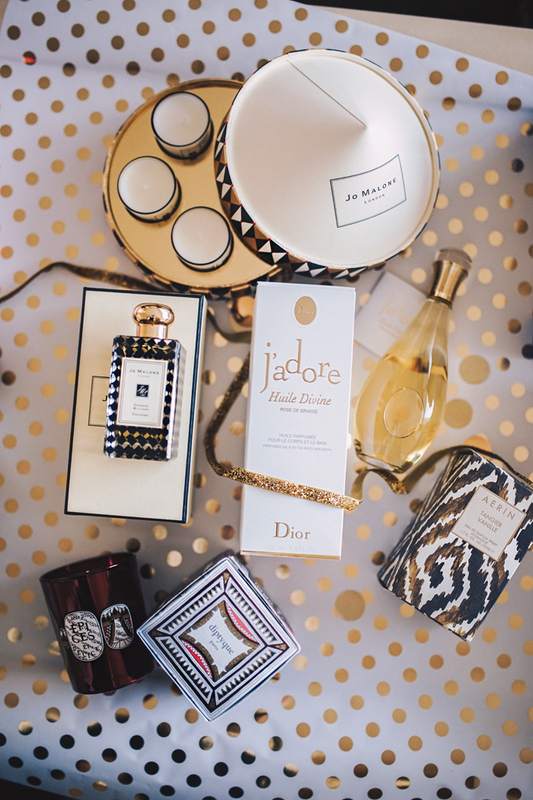 Diptyque is a favorite of many, and candles always make for a lovely gift. The brand has 3 new holiday candles, Un Encens Etoile, a blend of spicy notes of Elemi and Cloves with the sweetness of Vanilla, Le Roi Sapin, blended with warm, woody notes of Resin, Cedar and Patchouli and Epices et Delices, which has notes of warm Gingerbread and sweet Honey that mingle with hints of Star Anise. The candle jars look really festive and the scents are perfectly Christmassy. 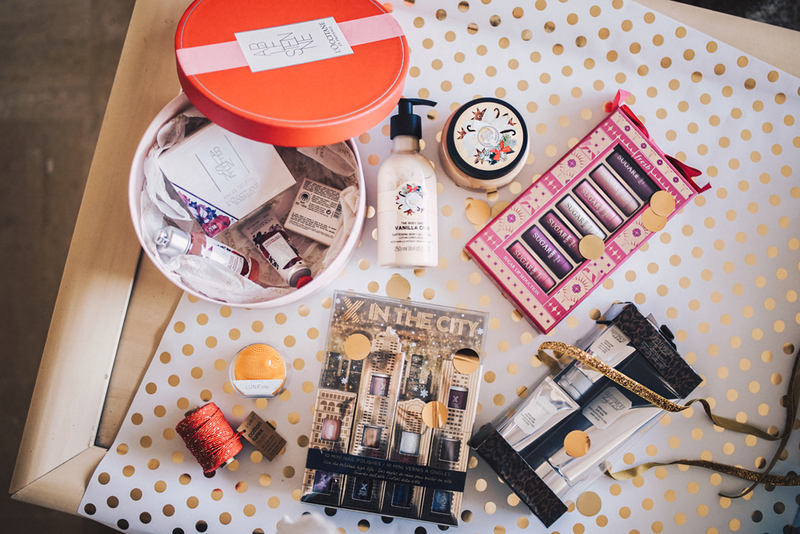 The Body Shop Christmas collections are always the most exciting! This year they have a brand new scent, Vanilla Chai, I absolutely love it because it's not overly sweet like most vanilla things tend to be. Formula X has a really lovely nail polish set for the Holidays, the packaging is inspired by New York City and the colors are all gorgeous and super wearable. This would make a perfect gift for someone younger! L'Occitane is another favorite for bath & body products, and they have some very lovely gift sets this year! I love the Arlesienne gift box, it has a nice variety of products including a perfume and the scent is very nice and fresh! Color Essentials Collection palette from Laura Mercier has basically everything for a full face makeup, it's beautifully packaged in a faux leather compact and makes for a really awesome gift for anyone who's into makeup. 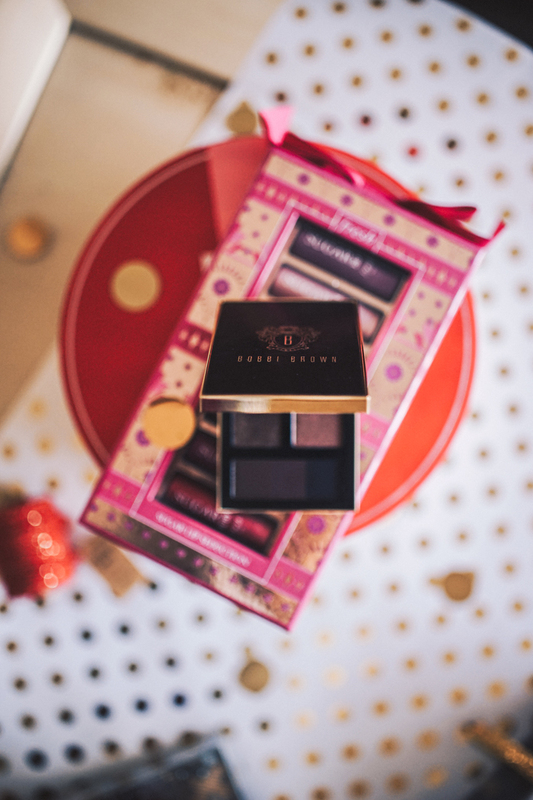 You can't go wrong with Laura Mercier, can you? One word about this collection - wow. It's so stunning! I have the Wine eye palette from the collection, the packaging is very nice and the colors are spectacular. 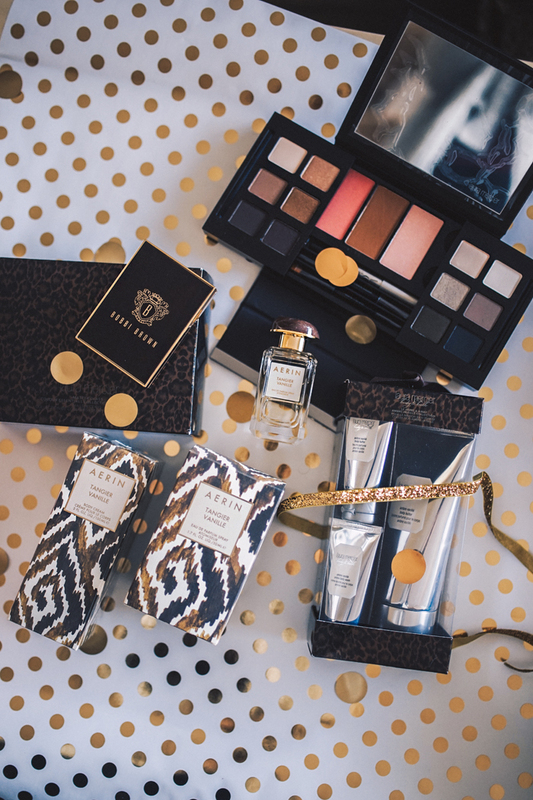 Rich, sparkly, amazing for the Holiday season! A limited edition collection of Ambre Vanille Body Butter in both full size and travel size, as well as a travel size Ambre Vanille Crème Body Wash, another gorgeous product from Laura Mercier. Bath and body products always work, right? Especially when they're as luxurious as Laura's! This one is my personal favorite, I absolutely adore Fresh lip products and you can never have enough lip balms, no? They smell incredible and each have a different color. These are the mini versions of the originals and they're so cute to carry in your purse. A beautiful set from Bobbi Brown, with all the essentials such a moisturizer, eye cream and facial oil, high quality products and beautiful clean packaging. I love this set and it works with most skin types. 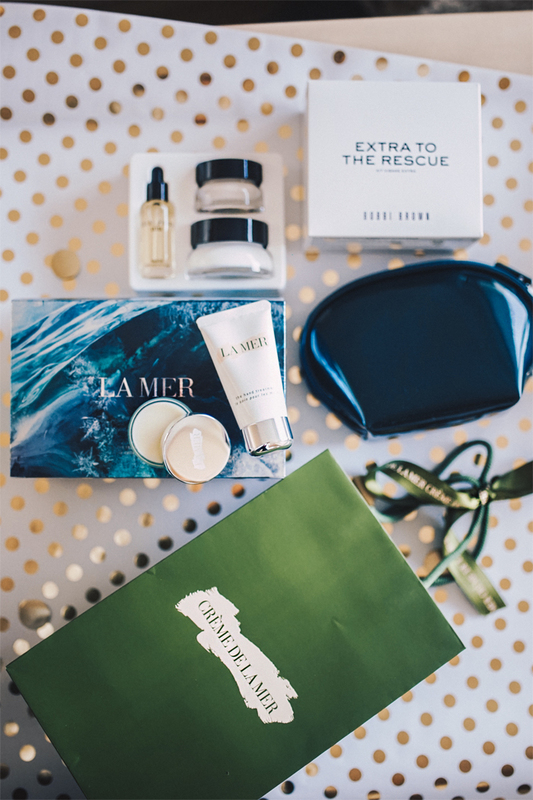 Creme de la Mer is the queen of skincare, and they have some really beautiful sets this year. The Replenishing set includes their classic lip balm (so good and smells incredible) and a hand cream. Beautiful essentials! 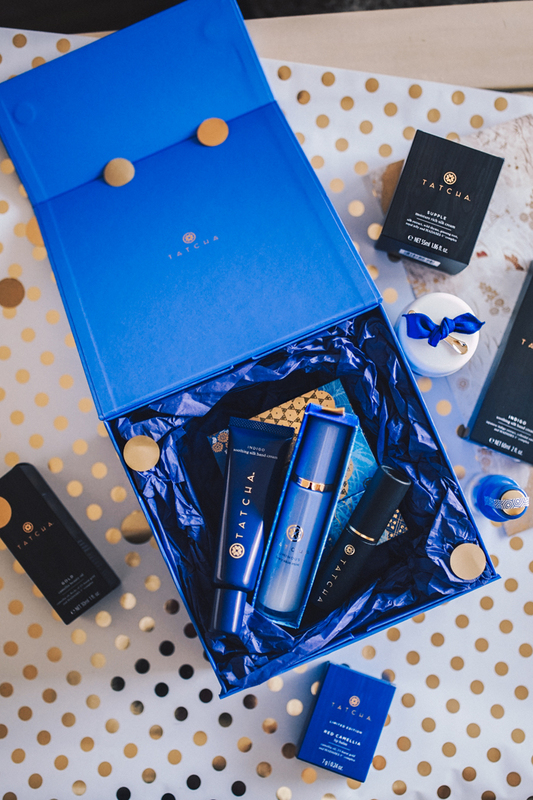 Tatcha is one of my most treasured skincare brands, I love everything about from their brand story to their products. Some of my personal favorites I'd recommend are Camellia Beauty Oil and Moisture Rich Silk Cream. 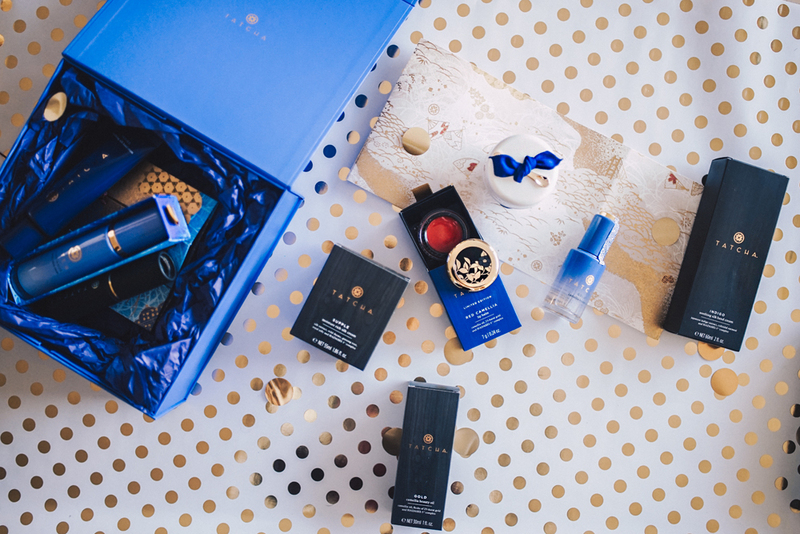 They also have very beautiful holiday gift sets, like the one you see in the photos - a Working Wonders Set, which includes their iconic Dewy Skin Mist, Indigo Soothing Silk Hand Cream (smells amazing), petal fresh aburatorigami beauty papers and a super cute limited edition pen stand to keep your products in. They also relaunched their camellia lip balm for the holidays in a gorgeous rich red color, and the packaging is to die for! Love everything you chose! These are definitely great gift ideas. nicely wrapped presents are just all i want to give to people. jo malone is always such a treat and a very special present to say the least. These gifts are very generous and amazing ! Such a great post . Looks like some great gifts!